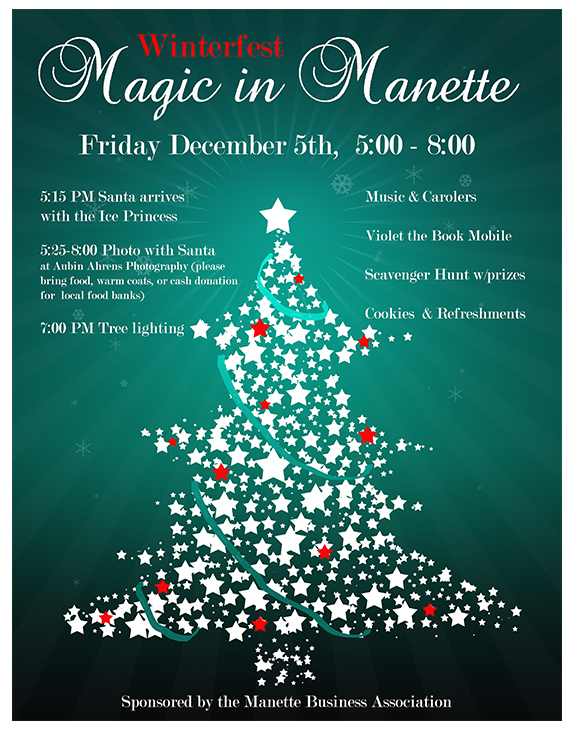 Santa Claus is double-booked, it turns out, between downtown and Manette on Friday evening. He won’t be the only one with a busy schedule. There are so many events happening between 5-8 p.m. around the city, it will be hard to get to them all. So here’s my roundup. If you have more to add, please drop me a note at jfarley@kitsapsun.com. Santa will arrive via fire truck to the Puget Sound Naval Museum by the ferry terminal at 5:30 p.m. A tree lighting there will follow, as will the sounds of the Bremerton High School marching band. Back downtown, Santa photos will be available from 6-7 p.m. by Hudson Photography at the Kitsap Historical Society on Fourth Street. 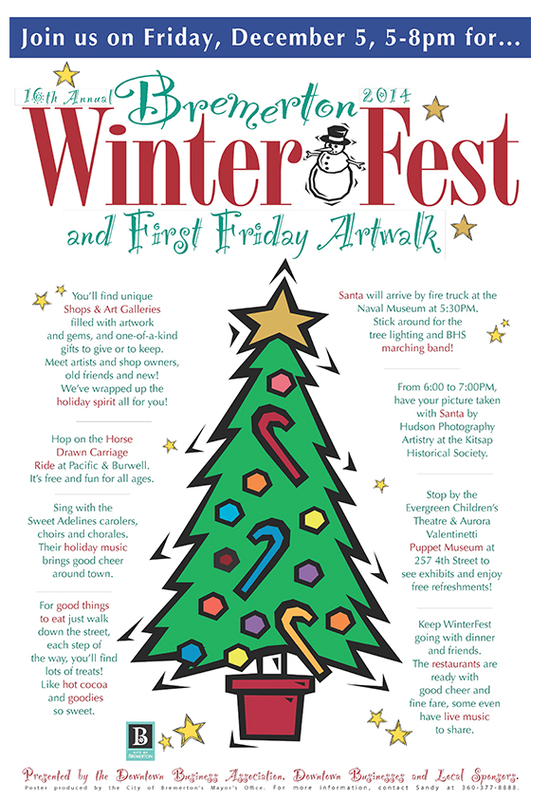 There will be horse drawn carriage rides downtown at Burwell and Pacific and free refreshments will be served at the Evergreen Children’s Theater & Aurora Valentinetti Puppet Museum, 257 Fourth Street.